As part of Radio 3's week in the forest, Michael Berkeley talks to wildlife presenter, president of the RSPB, and accomplished musician Miranda Krestovnikoff. As part of Radio 3's week in the forest, Michael Berkeley talks to wildlife presenter, President of the RSPB and accomplished musician Miranda Krestovnikoff. She's dived with sharks, shown viewers how to eat roadkill, and searched for mammoth bones in the North Sea. The co-presenter of ten series of Coast, Miranda's also a regular on The One Show and Radio 4's Costing the Earth. 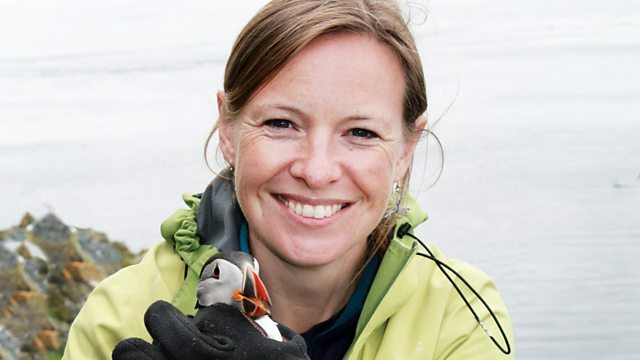 As well as the RSPB she's involved in numerous other environmental and wildlife charities. She tells Michael about staying up all night waiting for pine martens in a Scottish forest, and a frightening experience diving with sharks. But she's also a talented musician - a flautist, pianist, and singer who plays with the New Bristol Sinfonia and sings in choirs in the city. We hear a recording of Miranda singing a Duruflé motet with the Bristol University Singers and from other composers whose music she has performed - Holst, Vaughan Williams, and Rachmaninoff, whose All Night Vigil was played at her wedding. And we hear a piece that combines her love of music and birds - Martinů's Sonata for Flute and Piano - the piece that inspired her as a young flautist and which also features the song of a nightjar. Performer: Michael Cox. Performer: Nigel Clayton. Choir: St. Petersburg Chamber Choir. Conductor: Nikolai Korniev.